Tomatoes are a very-tender vegetable that grows best in warm weather. Tomatoes take a long time to grow from seed to fruit. In most areas there is not enough time to grow tomatoes from seeds before the weather gets too cold in the fall. Start seeds indoors 6 weeks before the frost date, or purchase transplants. Transplants are ready when they have 5-7 true leaves. Harden off and transplant outside 2 weeks after the frost date. Tomatoes can be planted very deeply, for the “fuzzy stem” will grow into roots if placed in the earth and watered. Tomatoes require average night time temperatures of 55°F to set fruit, so even in areas without frost it is unlikely you can grow them during the winter. Tomatoes grow best in a rich soil; amend with lots of compost and fertilizer (chemical or organic) at planting and up to every 4 weeks after that. Fertilizer: Apply 16-16-8 at planting. Apply a fertilizer low in nitrogen and high in phosphorous when fruit sets and repeat up to every 4 weeks. I like to use this Fertilome Blooming and Rooting (9-59-8), it really seems to promote flowering and fruiting of the plant. The Fertilome Gardener’s Special (11-15-11) would also be a good choice. Organic boosts: Save egg shells and allow them to dry. Combine 1 dozen egg shells with 1 gallon of water, allow to steep for 24 hours. Water the tomato plants and discard the egg shells (or add to your compost pile). Repeat as often as you wish, up to every 3 weeks. There are 3 types of tomatoes: Determinate, Semi-Determinate, and Indeterminate. Determinate tomatoes or “bush” tomatoes probably do not need support. They will grow in a compact space and produce their crop all at once. This type should not be pruned. Determinate tomatoes require 24″ spacing, or 4 squares. You can offer them support with a normal tomato cage, but it is not necessary. Semi-Determinate tomatoes grow bigger, and will likely need support. A sturdy tomato cage, staking, or trellising will work. Read more about supporting tomatoes. Once semi-determinate tomatoes reach a certain size, they will stop growing and producing. I recommend this type of tomato cage for semi-determinate tomatoes. The cages can be shorter than 5′ and still provide enough support. Using this method allows you to grow them in 4 square feet per plant, 24″ spacing. If you grow semi-determinate plants on a trellis or stake them, you can grow them in 1 square as long as you prune them religiously. Without any support, semi-determinate tomatoes will take up 6-9 squares of space. Indeterminate tomatoes or “vining” tomatoes will continue to grow and produce until the season gets too cold. Without support, this type of tomato will require up to 9 square feet per plant. If you grow them on a vertical trellis or stake them, you can provide just one square foot per plant, but this requires pruning them almost daily. I recommend this type of tomato cage for indeterminate tomatoes. The cages allow the plants to grow upwards, even up to 6 feet tall and requires only 4 square feet per plant. Harvest fruits as they ripen. Please share ideas regarding over watering tomato plants in square foot raised beds. I’ve had success with indeterminate tomatoes on a trellis (not a cage) using 1:2 spacing (deep or wide) without needing to prune constantly. I’ve even used 3:4 spacing on a trellis without a huge amount of pruning. The trick to planting a full row with 1:2 deep is to plant the tomatoes in alternating squares and then zig-zag the trellis. Zig-zagging provides a little more supported room for the climbin tomatoes to spread out rather than just running your trellis down the middle like you do with the special pea/bean grid. One or two of the larger square cages unfolded works great for zig-zagging. All three of these techniques also work well with the other large viners like squash, pumpkins and melons, and the trellis provides plenty of area to attach slings/supports. You can plant it in one square foot, and support with a stake or trellis, but you must PRUNE it diligently. I don’t prefer this method–it takes a lot of work. Hello,i have a question,after reading mel’s book for SFG.is it possible to plant a tomato in one square foot place?? cause mel says you can.what’s your opinion?? Thanks.Nick from Greece. Probably from the heat–they don’t like it too hot. I’ve noticed that when some of my tomato blossoms are done blooming the branch about a 1/4 to 1/2 an inch back from the blossom shrinks and the blossom eventually falls off. Any idea? Is this caused because of the extreme heat we had in early June here in Utah? I’ve been fertilizing with 9-59-8, just put fungicide on and water once a week. Sounds like tomato blight. Google it, and see if the pics look right. If so, it’s a fungus–keep them dry (no watering overhead), allow to dry between waterings, and use fungicide (if you do that type of thing). First time gardner question: My Tomato plants started off great, but now the branches and leaves are curling under and the leaves are turning black and crumbling. Any ideas? Thanks again, this site is super! Here is my experience–with determinate tomatoes, give them 4 squares but no support needed. For indeterminate tomatoes, 1 square on a trellis and you must prune vigilantly. Still, the tomatoes will grow all over, so 2 squares is better. 4 squares with a large (5′ tall) tomato cage. Or, let it sprawl on 9 squares. I am real confused on tomatoes and could use some help-I am planting one tomato in 2 squares, worried that they may get overcrowded with 1 per sq foot. If you are going to plant them deeper, I’d do it carefully and take out the dirt around the plant with it, dig a deeper hole, and sink the entire thing. Be sure to remove any leaves that will be under the soil level so they don’t rot. The little fuzzy stem will grow roots, so it’s great to have them down deep. So I have never really noticed whether SFG methods require the deep planting that is recommended by some for tomatoes. I purchased my transplants and put them in the ground 2 days ago, and only then noticed the recommendation to plant up to 2/3 of the stem underground! We live in the deep south. I bought Sweet 100, Golden Brandywine, and Cherokee Purple. I think the trellis will provide enough support for the roots, but I wonder if I should dig them up before they’re established and get them in deeper so they can have more moisture available. Help! (The labels suggest the same thing for peppers, btw). I have planted the following varieties: Jet Star (didn’t love them), Early Girl, Better Boy, Roma, Salsa/Salad (Burpee I think), Celebrity, Champion, and Sweet 100. I feel like I’m still figuring out the “secrets” to having an abundant harvest, so I’m keeping it simple–Roma, Early Girl, and Better Boy. Oh, and a Sweet 100–I do those every year. These are all basic varieties you can get anywhere, and I think once I master the art I will expand to heirloom varieties. I just hate not knowing if my success/failure is conditions or variety. Have you started turning over and preparing your garden space yet? I live in SLC and began working on my large garden and greenhouse (it covers four 10×5 raised beds) a couple of weeks ago and am so glad I got it all done before the storm. Right now I’m using cages only. They take up the least amount of space. Are you still growing semi-determinate and inderminate on a trellis or are you now using cages only? If i read another post correctly you recommend one tomato plant per vertical trellis, right? I read that some people recommend starting with less than 2 tablespoons er gallon. Does it matter with Mel’s mix? Yes, mix with water and apply. I take it you are applying the 9-59-8 by soil application method, right? (dumb question I image). I was wondering if I should do this to my tomatoes. Does it help the tomatoes flower? It has been a hard year here in Utah for flowering. Soil Application: Dissolve 2 tablespoons in 1 gallon of water. You can grow vining (indeterminate) tomatoes in one square with a vertical trellis, 4 squares with a tomato cage, or 9 squares unsupported. I am curious about the vining tomatoes- on the list page of how many plants per square, it says plant 1 tomato plant per square (I am assuming that is when using a cage) but above it says when using a cage 4 squares are required per plant. Thanks for any info! I just purchased some Early Girl tomatoes. 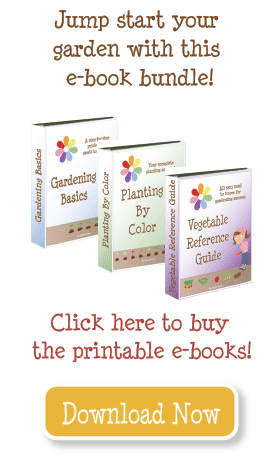 Carrie–I have tried planting them “sideways” and “normal” and both worked for me. If you lay them down, you have to be REALLY careful not to snap the stem. Link to the “black trays” I don’t know what those are. I grow cherry tomatoes on a trellis (one plant for the entire trellis!) and mostly just tuck them upwards and then prune as they start growing horizontally. Do you lay your tomatoes down like Mel recommends? I’m planning to try to lay them down this year. I bought the black trays from his site to try this year, too. They’re supposed to help get better and more tomatoes. I think I’ll try the trellis with the cherry tomato like you did too. I’ve tried it with regular tomatoes, but haven’t been able to get it figured out really. Hopefully your pruning video will help me! From checking your blog, you DO live in a cold climate, and will very likely need to employ some method to extend your harvest and protect your plants to get a good output from tomatoes. The good news is, you can probably grow greens, broccoli, onions, peas LIKE CRAZY! Take advantage. Please share anything you try with tomatoes–I’m going to write soon about extending your harvest/protecting plants. Watch for it! Thanks so much for this post – I spent the winter convincing my husband to switch us to raised beds so that I could start square-foot gardening. He’s agreed, but only because I bribed him with the promise of all the tomatoes he could eat this season. I’ve been hearing and reading more and more about using red plastic “mulch” under my tomato plants, or else the red plastic bags that can be used as mini-greenhouses for the plants. Do you have any experience with any of that? In my zone, I need all the help I can get to get my tomatoes to produce.